A Digital Edge. Digital Equipment Providers Look Towards the Future of Packaging. Packaging includes a variety of segments, including flexible, corrugated, tag/label, and folding carton. Digital print is making its way into each of these markets, with higher penetration in some areas and industries. Roy Oomen, HP Indigo, labels and packaging category manager, North America, shares that market reports estimate digital packaging penetration between .5 and one percent of total print volume, which has migrated to digital printing after being on the market only a few years. “Across folding cartons, flexible packaging, and corrugated use, many billions of dollars in print spend is projected to migrate to full digital production, with an especially steep growth between 2016 and 2020, so that means that the coming three years will provide new opportunities,” he says. Oomen adds that although these numbers are starting out small, growth rates in each of these markets are well over 100 percent for digital technology use and adoption, totaling in a significant growth opportunity for companies who embark on their journey in digital packaging production. Fast lead times, “right-sizing” trends, SKU counts, interactive packaging, changing expectations, and increased environmental awareness all drive interest in digital package creation. Riebesehl sees growing interest for intelligent solutions that help brand owners build stronger connections with end customers. “Integrated software solutions help customers leverage some of the unique capabilities of digital and incorporate powerful versioned or personalized content on packaging linked to broader cross-media campaigns,” he offers. Ryan Manieri, marketing manager, MBO Binder & Co. of America, sees a few trends driving the adoption of digital packaging, including shorter job runs with custom or variable content and shorter makeready times; increased market specialization based on design parameters, foreign language, or regulatory requirements, localization, and market demographics—all leading to shorter production runs; lower inventory costs based on localized/flexible print on demand model; and increased time, labor, and cost competition due to frequent job changes, making shorter makeready times a must. Mike Barry, product marketing manager, digital solutions, Fujifilm North America Corporation, Graphic Systems Division, says the recent advent of hybrid presses help drive more applications, especially in the label segment, to digital. “Hybrid presses allow all the necessary embellishments, coatings, laminates, foils, and die cutting that is required,” he says. Environmental concerns in regards to media—recyclable and compostable—are also of interest from a generation of educated consumers. “GenX and Boomers will continue and have already adjusted their expectation so this is not just about younger consumers. Expectations across all consumer groups are changing,” shares Oomen. The propensity to invest in digital is often dependent on a print environment’s current needs and future goals. It is imperative to reevaluate current processes with a thorough understanding of customer needs to determine where demand is coming from. The adoption of digital packaging opens up many opportunities for businesses, however the first steps are often the most difficult. “Those that see the overwhelming potential don’t hesitate,” comments Riebesehl. Riebesehl says it is important to understand where the demand for adoption is coming from, whether it be from those who converted recognizing they can take on new work, small brands realizing digital can help them compete with big brands, or big brands understanding digital can help win decision share at point of purchase while also improving customer connections. Ben-Shitrit sees converters, trade finishers, and commercial printers with a strong marketing emphasis and an understanding of the ability to compete on value rather than price as early adopters of digital packaging technology. “These tend to be small to medium size companies who have a stronger need and aptitude to rapid changes finding a competitive edge that doesn’t come from purely being more productive. These early adopters are looking at profitable niches that can be created—in some cases finding one strong project or product can by itself justify investment in new equipment,” he says. “In the end, two success factors matter—people and vision for a strategy,” stresses Oomen. Traditional printing technologies like flexography, gravure, and lithography remain steady in packaging. The move to digital is appealing to the right package providers, but still has a long way to go. In addition to continued demand for longer run lengths and low unit cost, package printers need to print on heavy weight stocks. Riebesehl points to a few interesting challenges for digital penetration. “One key challenge we’ve heard from our customers is simply that digital printing solutions have not necessarily been available to serve the unique needs across the many packaging segments, especially outside of the label market.” He says this is one of the reasons Xerox is focused on folding cartons and introducing new solutions like its direct-to-object printer. Oomen suggests digital packaging is still developing its fuller ecosystem and infrastructure. According to Ben-Shitrit, the packaging industry has a long history of progress from a purely protective function to the modern day where it has become a major marketing channel of brands. “Shelf appeal is still paramount, but the requirement for versioning, customization, and personalization, leading to shorter and shorter runs has previously been restricted by the built-in limitations of conventional print and traditional die cut finishing,” he shares. From a post-press perspective, digital finishing packaging environments run into many issues regarding process limitations, suggests Manieri. These are imposed by great variations in formats and substrates, difficulties with substrates/sheet handling due to static electricity when using plastics or coated papers, difficulty producing consistent coloration when using inkjet technology or when changing substrates for variable applications, and use of labor-intensive offline processes, especially makeready-intensive flatbed die cutting with nicks. Digital penetration into various segments of packaging continues. Brand owners and marketers utilize digital for creative and supply chain advantages. “Brands are under constant pressure to create innovative, rewarding experiences for consumers—and the smart ones are turning to product packaging,” says Riebesehl. He says the packaging opportunities they’re taking advantage of with the help of digital printing include interactive opportunities that encourage customer engagement on folding cartons, direct-to-object printing, smart packaging with printed electronics, and the ability of brand owners to leverage digital content to build stronger and tighter links with customers. Recently, Pack Ready solutions have expanded capabilities for sterilized, retort, and hot fill packaging, says Oomen. “Previously challenging applications are now possible with clearly documented processes. Width and speed have gone to a new level for corrugated production as well. In addition, new digital capabilities for digital embellishment present a fascinating opportunity to speed up production processes end to end,” he offers. “In general, we believe that single platform digital printing and finishing will increasingly be supported by integrated workflows that can meet customer demands one on one, instead of offering cookie-cutter solutions constrained by process limitations,” says Manieri. Digital technology enables an unlimited range of packaging and commercial applications that demonstrate creativity previously impossible to produce, with no minimum order quantity. “This allows for personalized packaging, customized, seasonal versions, all with dramatically reduced turnaround times—and the ability to produce them profitably for the printer or converter. Even longer runs can benefit from intricate cutouts, etching, and variable data. Segments like cosmetics, confectionary, and other consumer goods are seeing packaging as the strongest tool to attract and engage customers. Everyone is trying to stay away from more of the same and try to reinvent the box. Every level of complexity in appearance or functionality of the package, which doesn’t require complexity in production, will be adopted by brands easily,” says Ben-Shitrit. 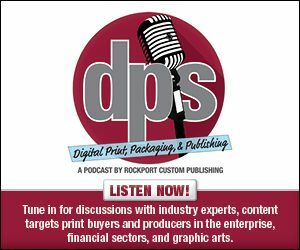 Several printing and finishing vendors offer solutions that support digital packaging environments. Here we spotlight a few. Fujifilm offers the Graphium UV digital hybrid inkjet press, which is specifically designed for the narrow web market. Graphium is a modular hybrid UV inkjet press that provides the flexibility and productivity to print any number of complex projects requiring a wide gamut of colors on virtually any substrate. The modular system combines a range of leading technologies including an innovative workflow, prepress and color management software, as well as inkjet printhead calibration technology to ensure quality and repeatable production. The Highcon Euclid III digital cutting and creasing machines are designed to replace complex, expensive, and slow die making and setup processes. The device handles up to B1/42-inch sheets at a speed of up to 1,500 sheets per hour (sph). The company also offers the Highcon Euclid IIIS, which handles up to B2/30-inch sheets at a speed of up to 2,000 sph. The Highcon Beam is a digital cutting and creasing machine, which extends the digital finishing revolution to mainstream production. Featuring speeds of up to 5,000 sph, it is designed to address challenges that folding carton converters and print providers face. HP Inc. offers display, point of purchase, packaging—including corrugated, flexibles, and folding carton solutions across several technology platforms and product lines. With a variety of technology it is able to match the print process, ink set, and applications easily. “Packaging is a large and key strategic focus for HP with high investment across the board for all segments, as well as a focus on developing the wider end-to-end ecosystem. In the end, the solutions need to operate with packaging performance for a final end product,” says Oomen. MBO offers its Stamina Folding Carton solution, which can produce blanks or complete cartons inline with a digital press or as a near line solution. The system commonly features two models, the 12,000 sph BSR 550 Servo Rotary Die Cutter and the customizable 091.1 Transport System. Manieri notes that the Stamina Folding Carton Solution is unique because it integrates tipping with the folding carton production, giving printers the ability to insert PIs, gift cards, and various other items. Xerox offers digital solutions in various segments of the packaging industry. For folding cartons, its iGen portfolio targets shorter runs, versioning, and customization that makes every carton unique. For direct-to-object printing, the Xerox Direct to Object Inkjet Printer enables inline direct package coding and marketing solutions. Smart packaging and printed memory packaging solutions, including Xerox Printed Memory solution, provides ways to protect against counterfeiting. Finally, for flexible packaging, Xerox Production Press for Plastic Films and Substrates allows for printing directly onto plastics, eliminating the time and costs associated with labels. The adoption of digital printing and finishing technologies is a reality across nearly every segment of packaging. While the penetration of digital within the overall industry is low, certain segments—including labels and folding cartons—show great potential in the shorter term. Digital vendors showcase their commitment to packaging with product advancements and announcements.